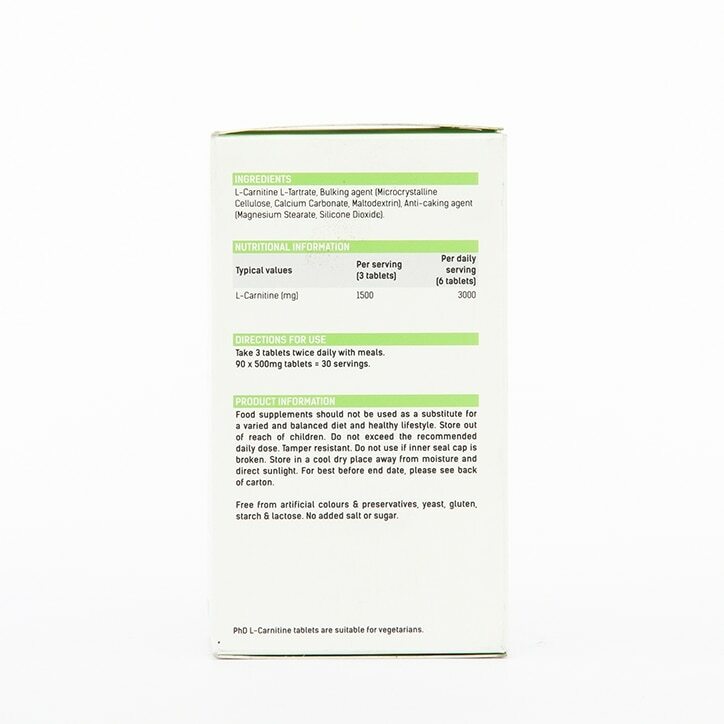 L-Carnitine is synthesized in the body and derived from the amino acids lysine and methionine. L-Carnitine can be taken at any time of the day and is predominantly used by athletes as part of a healthy diet and weight loss plan. L-Carnitine has served for many years as an excellent three- tiered weight management stack along with a caffeine based powerhouse like Lean Degree maximum strength and the fatty acid CLA. Take 3 tablets twice daily with meals. Food supplements should not be used as a substitute for a varied and balanced diet and healthy lifestyle. Store out of reach of children. Do not exceed the recommended daily dose. Tamper resistant. Do not use if inner seal cap is broken. Store in a cool dry place away from moisture and direct sunlight. Free from artificial colours & preservatives, yeast, gluten, starch & lactose. No added salt or sugar. 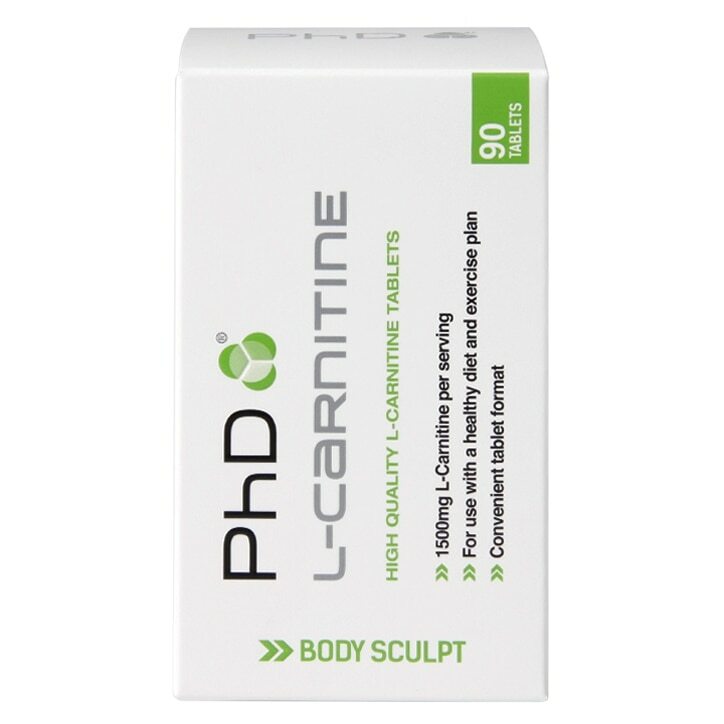 PhD L-Carnitine is rated 3.8 out of 5 by 5. Rated 5 out of 5 by Anonymous from Great tablets Super effective and helped me a lot as a addition to my daily diet. Rated 2 out of 5 by Anonymous from Jury’s Out! Only took these supplements for about 6 days but didn’t feel energised enough to do a weights intensive workout! And felt no signs of muscle improvement! Need to give it at least a month to give a definitive review! Rated 5 out of 5 by Monika0301 from Brilliant ! I'm very HAPPY with L-carnitine !!!!!!!!!!!!!!!!!! !